“It’s a body floating into the land. Now it’s a body that’s floating out into the water.” This obscure quote is followed by French vocal snippets, the steady trickle of water and incoherent chatter from a person struggling to speak. 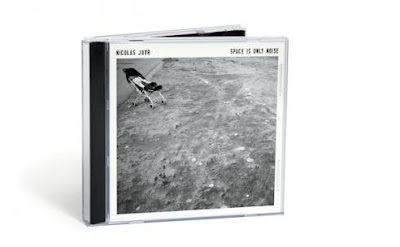 It’s disorienting, contradictory and it’s the perfect introduction to Space Is Only Noise, the genre-defiant debut from New York wonder Nicolas Jaar. 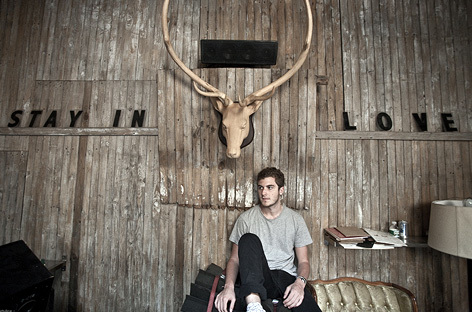 As a producer, Jaar is following a progression we’ve seen a lot of lately. Much like wavemakers James Blake and Darkstar have done with dubstep, he’s released a string of 12" singles that, while skirting the line, still adhere to our notion of house and techno, only to completely disarm us with his full-length. It’s not house, it’s not techno, it’s unlike any kind of downtempo we’ve heard recently, and the gusto it displays is only part of what makes it compelling. On this stream-of-consciousness recording, songs flow one into the next like one beautiful sonic tapestry of samples, drips, echoed guitars, minimal beats and cosmic wailing. It’s so delicate you can forget it’s there if you aren’t paying enough attention. This is the record’s real charm. With “Too Many Kids Finding Rain in the Dust,” the 21-year-old leads off with an eerie skank, slowly building to a beat only reminiscent of the typical 4/4 thump. Violins shriek as Jaar mumbles along in his unassuming tenor. Later, on “I Got A Woman,” an instantly recognizable Ray Charles hints at some distant connection to rhythm & blues before bleeding into “Problems with the Sun,” which displays as much Mad Professor as it does Madlib, crackling with another dub-hop beat and more of Jaar’s distorted warbling. If this is what our ears are treated to once we escape our atmospheric and earthly confines, then, as the saying goes, space is the place.